In Row 1, for example, note that new investment is $3,000. Additional debt of $1,000 and equity of $2,000 must be raised to keep the debt-equity ratio constant. Because this latter figure is greater than the $1,000 in earnings, all earnings are retained. Additional stock to be issued is also $1,000. 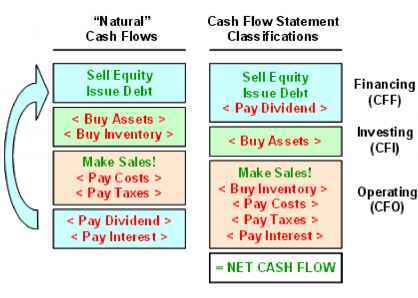 In this example, because new stock is issued, dividends are not simultaneously paid out. In Rows 2 and 3, investment drops. Additional debt needed goes down as well, because it is equal to i/3 of investment. Because the amount of new equity needed is still greater than or equal to $1,000, all earnings are retained and no dividend is paid. We finally find a situation in Row 4 in which a dividend is paid. Here, total investment is $1,000. To keep the debt-equity ratio constant, i/3 of this investment, or $333, is financed by debt. The remaining 33, or $667, comes from internal funds, implying that the residual is $1,000 - 667 = $333. The dividend is equal to this $333 residual. In this case, note that no additional stock is issued. Because the needed investment is even lower in Rows 5 and 6, new debt is reduced further, retained earnings drop, and dividends increase. Again, no additional stock is issued. Given our discussion, we expect those firms with many investment opportunities to pay a small percentage of their earnings as dividends and other firms with fewer opportunities to pay a high percentage of their earnings as dividends. This result appears to occur in the real world. Young, fast-growing firms commonly employ a low payout ratio, whereas older, slower-growing firms in more mature industries use a higher ratio.